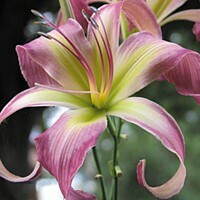 Breeding goal: A lily with long, curved, dark stamens with pink sepals and petals. 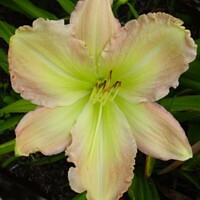 Expectations: 'Forsyth Flaming Snow' has nice shape and a green heart, while 'North Wind Dancer' has the desired stamens. I may not get results in the first generation.